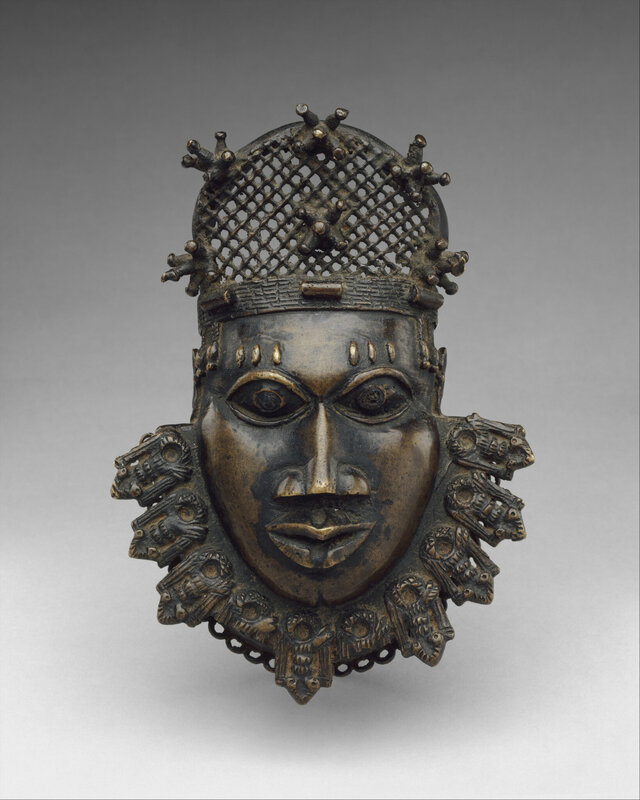 Hip Ornament: Face, Edo peoples, Nigeria, Court of Benin, 16th–17th century. Brass. H. 7 1/2 in. (19.1 cm). Gift of Mr. and Mrs. Klaus G. Perls, 1991, 1991.17.49. © 2000–2018 The Metropolitan Museum of Art. 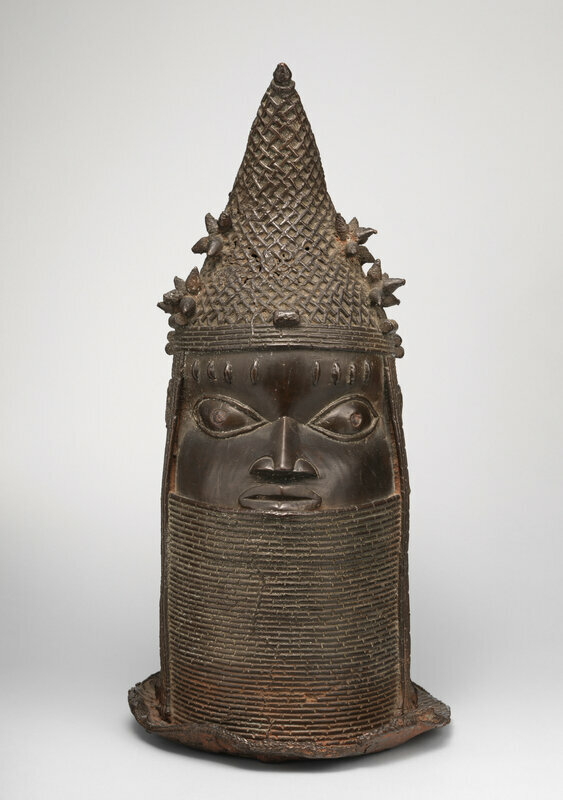 Benin history, religion, and political structure are brought to life every year in a series of palace rituals intended to purify the kingdom and renew the spiritual powers of the king, the oba. Many of these vivid and solemn rites were introduced by individual obas in order to commemorate events in their reigns and to promote important principles in the ideology of divine kingship. At these palace festivals, the powers of the king, the roles of the various chiefs and titleholders, and the relationships between them are displayed for all to see. The arts play an important role in these rituals. The king and other participants wear their most lavish ceremonial costumes, consisting of vast quantities of costly imported coral beads, luxurious textiles, and ornaments made of gleaming brass and creamy ivory. 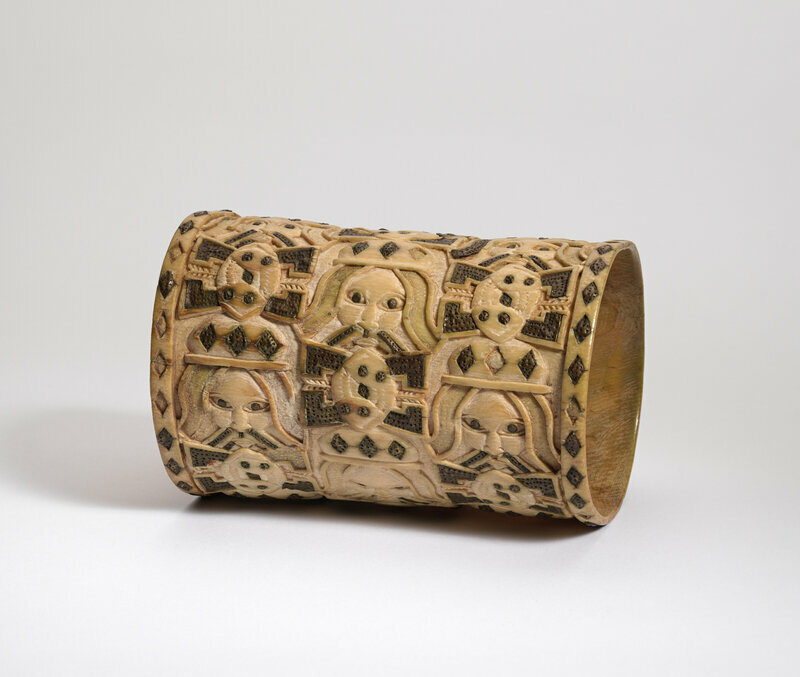 This ornament in the shape of a man's face was part of such a costume, and was meant to be worn around the waist.